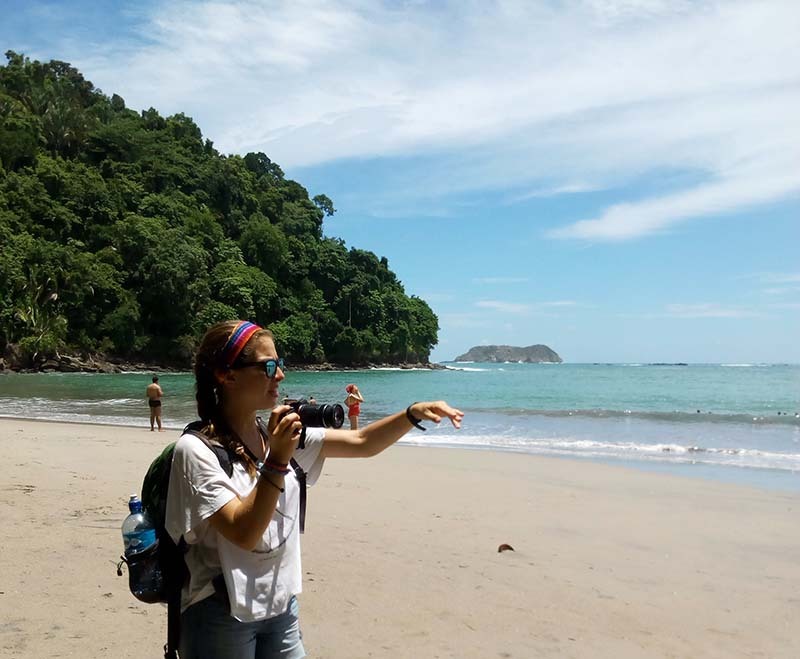 Whether you’re a volunteer in Costa Rica, or just a tourist passing through, a big part of your decision to visit is likely to be the world-renowned beaches. They are everywhere. The country is only small, (with a land mass of only around 51,000 km2, it is one of the smallest non-island nations in the world) but it has an enormous amount of coastline in proportion to its size. Over 1,200 km in fact. This is due to the fact it sits right between the Pacific Ocean to the west and the Caribbean Sea to the east. Combined with the temperate, clear waters, lush rainforest backdrops, and a warm tropical climate, the beaches are simply incredible. With so many options to choose from, it can be hard to plan where to visit. So here is a list of some of the top beaches around the country, to make it a little easier for you to pick. Santa Teresa Beach can be found in the modest town of Santa Teresa, in the northern area of Puntarenas Province, almost at the tip of the Nicoya Peninsula. The town and beach are on the quieter side when compared with some areas of the country. However, there is still enough going on for it to be a great place to stay if you’re in the northwestern side of the country. There are plenty of bars, restaurants, and nice places to stay, but fortunately, there are not any high-rise buildings blighting the gorgeous views as of yet. For this reason, many tourists find that it offers the perfect balance between underdeveloped and overdeveloped. 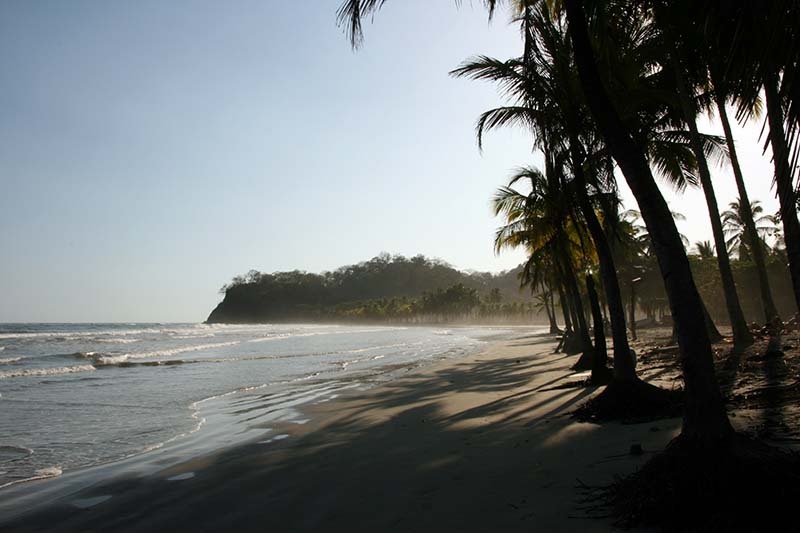 Samara sits on the western coastline of the Nicoya Peninsula, in the Puntarenas Province. It’s a little further up than Santa Teresa, but very close, so it’s easy to hop from one to the other. Samara town and the beach are both amazingly relaxed, and it’s easy to imagine seeing the weeks, months, or even years drift by here, as many expats living here have found. It’s also an extremely beautiful area, with calm surf, long, wide stretches of soft sand, and stunning views wherever you turn. Manuel Antonio Beach is located within the famous Manuel Antonio National Park. This is the most popular national park, and hence one of the most popular beaches in the entire country, so if you’re looking for isolated solitude then this probably isn’t the beach for you. However, it is popular for a reason, and that reason is that it’s a particularly stunning beach. The sand is a perfect unblemished yellow, the water is clear, and the rainforest grows right up to the sand. It really encapsulates everything you’d expect from a Costa Rican beach. The positive side of it is so popular with tourists is that the national park, and the beach itself, are very easily accessible. It’s also located very near San José, which you can drive from in around an hour. Punta Uva is located way over on the eastern Caribbean coast (in reality, it’s only a few hours of driving to cross the entire country). It’s extremely beautiful and subtly different to the western Pacific coast. The beach is popular for all sorts of activities, from surfing to snorkeling and swimming. But it’s equally great to just lie back and enjoy the calm setting, tropical sunshine, and gorgeous views. Puerto Viejo is actually an area where you’ll find several excellent beaches. It’s situated right on the southern end of the eastern Caribbean coastline on the country, a few kilometers from the border to Panama. The volcanic activity of the area has resulted in the darkly-colored sand that the beaches here are known for. This gives the beaches a distinct, almost alien look compared to the others on this list, but the area is nonetheless still incredibly beautiful. This is another great beach located very close to the popular Manuel Antonio National Park, so it’s a good stop on a beach-hopping trip if you’re staying in the area. 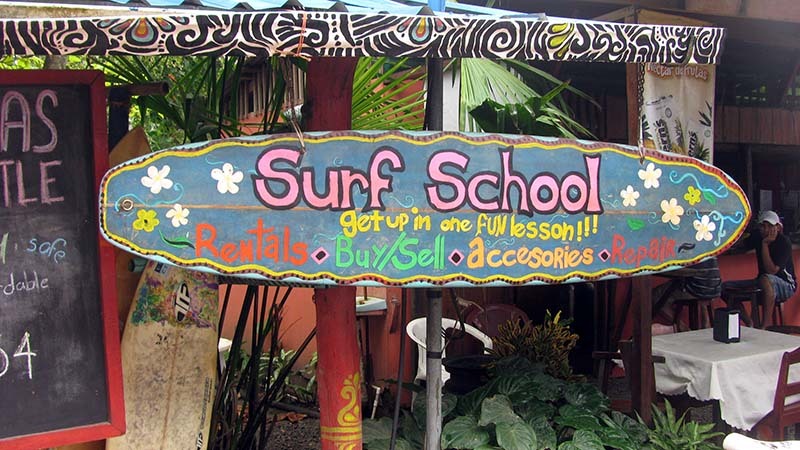 It’s very popular with surfers (as are many beaches in Costa Rica), and a good place to learn to surf in one of the several schools that can be found here. A little slice of secluded paradise, you’d be forgiven for thinking that Biesanz were on a different planet. 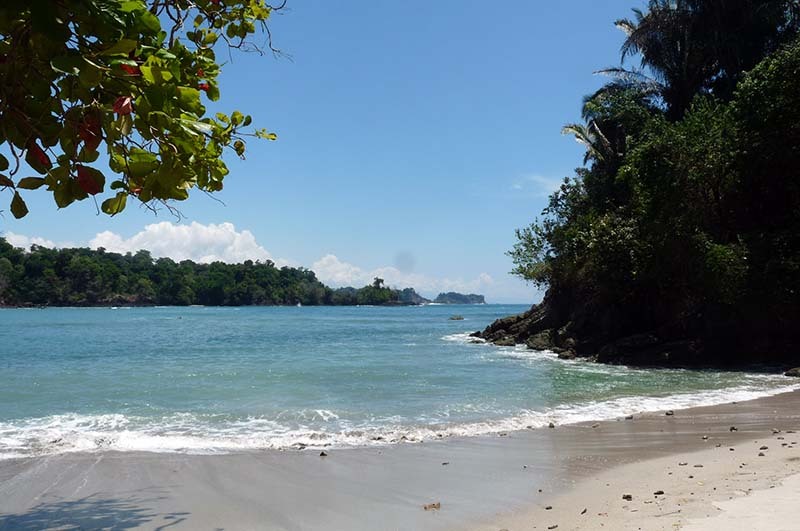 Amazingly though, this serene beach is actually only a few miles from the tourist hotspot of Manuel Antonio National Park. The secret to its serenity is that it’s a lot harder to access, with the road network not being quite so established as it is to the nearby Manuel Antonio. This is great news for anybody who prefers a comparably beautiful, but far quieter alternative. The beach and surrounding area are great for snorkeling, and there are some interesting rocky areas that provide shelter for all sorts of ocean life. On a trip to ‘The Rich Coast’, you will find world-class beaches at every turn. This list will hopefully give you a little inspiration, but really one of the best ways to tour the country’s amazing selection of coastline is to explore for yourself and see where the surf takes you! In a country, so blessed with beaches, you can’t go wrong.